Magnifique ! Astonishing sunset with a so beautyful landscape!! Bravo. Brilliant Shot, composition and colours!!! You are one lucky and talented photographer!! where had been taken it? 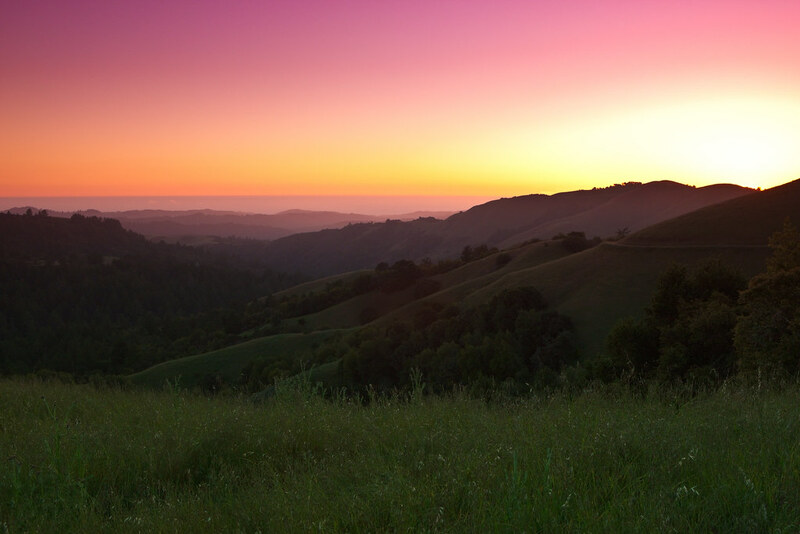 This is Russian Ridge, on the west side of the Bay Area in California.